Graphic Dreams achieved another goal, to be also on Facebook, the most famous social network of the world. If you wanna get in touch and be always alerted on the most recent news, join it and let your friends and fans join, so to let Graphic Dreams grow up. 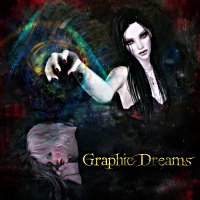 Since Graphic Dreams is the coolest place in the web for those who love digital art.